For decades, Gustavo Gutiérrez, a Peruvian theologian and Dominican priest, was treated with suspicion and even contempt by the Vatican’s hierarchy, which saw him as a dangerous Marxist firebrand who used faith as an instrument of revolution. Gutiérrez was the founder of a progressive movement within the Catholic church known as liberation theology, and while he was never censured in the manner that some of his philosophical compatriots were, there were often rumblings that Gutiérrez was being investigated by Pope John Paul II’s doctrinal czar, a German cardinal named Joseph Ratzinger who would later become Pope Benedict. But when the 86-year-old Peruvian arrives in Rome this week as a key speaker at a Vatican event, he will be welcomed as a guest, in a striking show of how Pope Francis – the first Latin American pontiff – has brought tenets of this sometimes controversial movement to the fore of the church, particularly in his pronouncements against the blight of poverty and the dangers of capitalism. In its height in the late 1960s and 1970s, liberation theology – a distinctly Latin American movement – preached that it was not enough for the church to simply empathise and care for the poor. Instead, believers said, the church needed to be a vehicle to push for fundamental political and structural changes that would eradicate poverty, even – some believed – if it meant supporting armed struggle against oppressors. In Nicaragua, priests inspired by liberation theology took an active part in the 1979 Sandinista revolution against Anastasio Somoza’s rightwing dictatorship. The philosophy also influenced leftist rebels in Mexico and Colombia, where one of the main guerrilla factions was led for nearly 30 years by a defrocked Spanish priest, Manuel Pérez. The theology was so divisive during the cold war that, even today, there are claims – which experts thoroughly refute – that the movement was an invention of the KGB as a way to turn the Catholic church in Latin America against the United States. Pope Francis has never proclaimed himself to be a liberation theologian and was even a critic of aspects of the movement when he was still known as Father Bergoglio in his native Argentina, according to papal biographers. But since his election as pontiff in 2013, Pope Francis’s insistence that the church be “for the poor”, and his pointed criticisms of capitalism and consumerism have gone a long way to rehabilitate the liberation theology movement and incorporate it within the church. 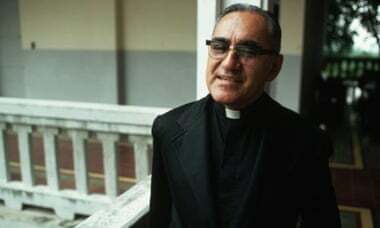 Experts point, too, to Francis’s decision to name Oscar Romero, the iconic Salvadoran archbishop who was assassinated by rightwing death squads in 1980, as a martyr as another sign of the resurgence in liberation theology. J Matthew Ashley, chair of the theology department at the University of Notre Dame, where Gutiérrez is also professor, says the pope has been greatly influenced by the Argentinian variety of liberation theology, which is called the theology of the people. 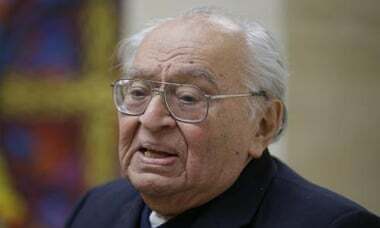 While the two have sometimes been seen as opposing theologies, even Gutiérrez has said they simply have “different accents” within a single theology. Ashley says the “thaw” between Gutiérrez and the Vatican started earlier, when the Peruvian co-authored a book with German cardinal Gerhard Müller, who is now the prefect of the congregation of the doctrine of the faith and seen as a possible future pope. But he acknowledges that Gutiérrez has never been as welcomed in Rome as he is today. “There are many points of similarity between Gutiérrez’s theology and Pope Francis’s thought, addresses and actions. Both have emphasised that opting for the poor requires getting to know the poor, becoming friends with the poor … both have a great respect for the spirituality of the poor, particularly in everyday life,” Ashley says. The Vatican itself has not formally embraced liberation theology. Even Cardinal Müller himself has denied that his appointment as prefect by Pope Francis – which was seen in some circles as a triumph of liberation theology because of Müller’s relationship with Gutiérrez – represented the “opening of a new chapter” following the papacies of John Paul II and Benedict. Jung Mo Sung, a prominent liberation theologian in Brazil, says the church has turned a page on liberation theology precisely because Francis understands that the church’s mission is not just to announce God to a world of unbelievers, “but to a world marked by an idolatry of money”. “In this sense, we can say that part of liberation theology has been elevated to the doctrine of the church,” Sung says. He attributes this shift to the alarming increase in global inequality and the personal experience of the pope, who has worked in some of the poorest communities of Argentina. Jimmy Burns, who has written a forthcoming biography of the pontiff, agrees that Francis’s Latin American background, has made a key difference. “His predecessor was very eurocentric theologian and European to boot and John Paul was virulently anti-communist from Poland,” Burns says. Another theologian who studied under Gutiérrez, Michael Lee of Fordham University, said Francis is “open” to liberation theology because he understands the social and economic structures that “dehumanise people”. “At the heart of liberation theology is the gospel – the good news of Christianity – which is not purely interior, but needs to address one of the most pressing problems of our time, and that is massive global poverty,” says Lee.